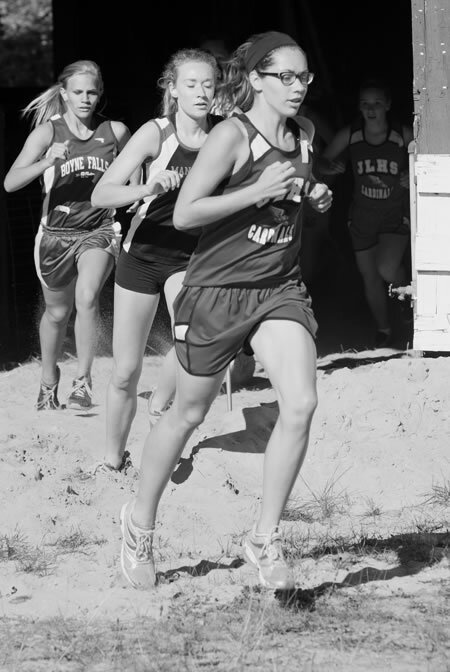 The girls cross country team finished in 24th place at the State finals on Saturday. Andrew Morehouse placed 63 out of 243. Great ending to a great year. Thanks for all of your hard work – Coach K.
BOOKLYN — Gaylord’s Alexis Smith placed ninth in Division 2, and St. Mary eighth-grader Averi Bebble hit 24th in Division 4 to lead a busy weekend for area cross-country runners at the State Finals races at Michigan International Speedway in Brooklyn. Smith literally came out of nowhere to finish ninth in the state with a time of 18:57, breaking nearly two full minutes off her ninth-place regional qualifying time. “Her run puts her in a truly elite group, finishing just seconds behind last year’s 1,600-meter and 800m track state champion, Megan O’Neill,” said Gaylord coach Jeff Kalember. “It also nailed a spot on our girls record board for cross-country as the fourth-best finish in state finals history for Gaylord. Only Sloan Secord (first in 2007), Thereseann Zimmerman (fifth in 2004) and Sammy Hunt (sixth in 2006) rank higher. Smith, a sophomore, was the highest-placing underclassman in the race, finishing two spots ahead of the nearest sophomore and four spots ahead of the closest freshman. In Division 4, middle school student Bebble made history of her own, setting a new St. Mary State Finals record with a time of 20:01, and becoming the first Lady Snowbird to ever earn All-State honors in cross-country with her 24th-place finish. Bebble improved her regional time by 30 seconds and became the highest-placing eighth-grade runner since 2009. 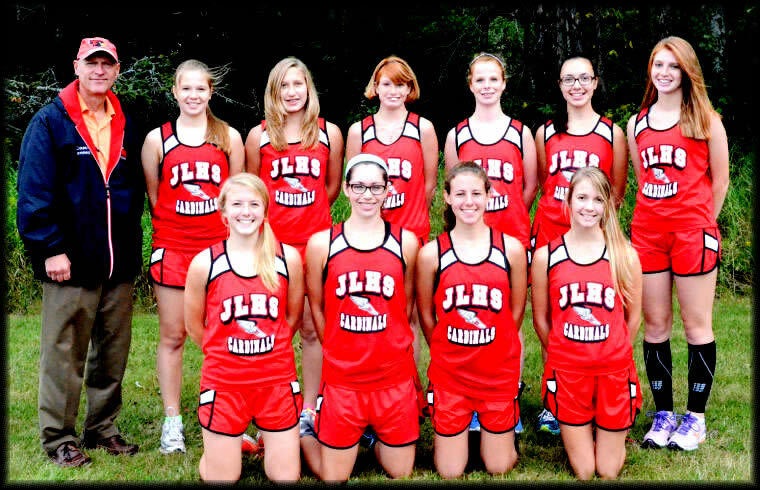 Also in Division 4, the Johannesburg-Lewiston girls’ squad finished 24th in the team standings. Shannon Kievit finished as the top Cardinal in 75th with a time of 21:50. Chloe Johnston finished behind Kievit in 77th (21:50), followed by Samantha Baganz in 136th (24:13), Hannah Donajkowski in 141st (24:26) and Kelsey Hardy in 161st (26:23). Kate Heidman and Brianne Kennedy also participated, but did not factor in the points, as all but the top two will return next season. In the boys’ races, Gaylord’s Sterling McPherson ran a tough race, finishing 53rd as the top area runner with a time of 16:50. Also for the Blue Devils, Josh Green finished off a quality senior season at 141st in the entire state with a time of 17:29. In Division 4, Andrew Morehouse closed out a stellar career for the Cardinals, placing 63rd overall in 17:54, while Adam Makarawicz finished in 86th with a time of 18:08. CENTRAL LAKE — The Division 4 girls’ cross-country Regional was decided by two points between the first- and third-place teams, but Johannesburg-Lewiston raised the trophy when the smoke cleared Saturday in Central Lake. The Cardinals scored 82 points, narrowly defeating Inland Lakes (83) and Rogers City (84). With the victory, J-L qualifies for next Saturday’s State Finals meet at Michigan International Speedway in Brooklyn. Seniors Chloe Johnston and Shannon Kievit finished eighth and ninth to lead the Cardinals. Johnston finished at 21:31, while Kievit completed the course in 21:50. Hannah Donajkowski was 29th (24:03), with Kate Heidman 34th (24:12) and Samantha Baganz 35th (24:13). Kelsey Hardy was 41st and Brianne Kennedy 47th. 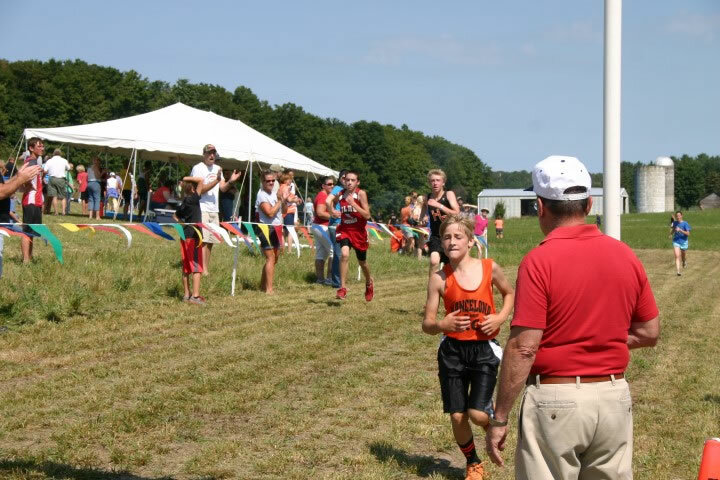 While the Snowbirds did not qualify as a team, eighth-grader Averi Bebble stole the show, placing second overall with a time of 20:29. The time is not only the fastest eighth-grade varsity time in the state, but only eight freshmen in Michigan ran faster times. St. Mary took fourth overall with Katie Rutkowski placing 33rd (24:12), Ashley Switalski 40th (24:44), Alysse Masko 45th (24:58) and Gabby Schultz 49th (25:34). 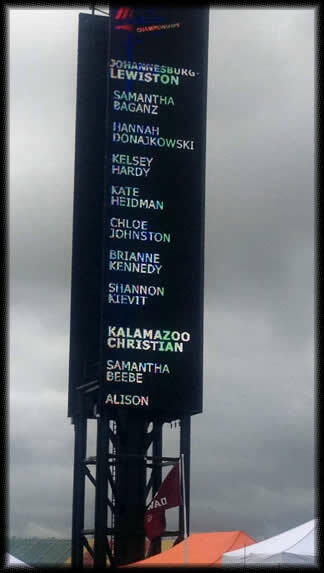 Savannah Sullivan (64th) and Natalie Burzynski (70th) completed the roster. J-L senior Andrew Morehouse qualified for the State Finals for the third time with a ninth-place finish (17:53) as he competed with teammate Dimitri Capers, who took 70th. St. Mary senior Adam Makarewicz also qualified for the Finals, placing 11th overall with an 18:09 time. The Snowbirds took seventh as a team with Levi Milan placing 24th (19:28), Noah Kole 31st (19:45), Brenden Delaney 38th (20:42) and Nathan Smith 44th (20:52). Ian Milan (56th) and John Kole (63rd) completed the St. Mary seven. 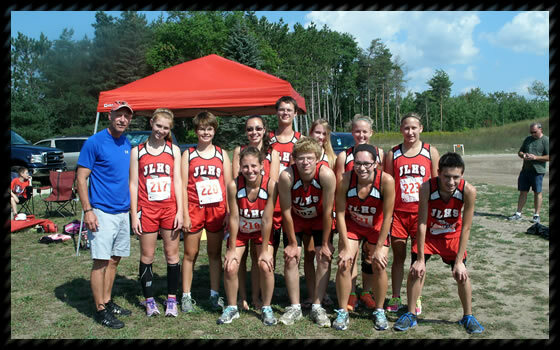 FAIRVIEW — The Johannesburg-Lewiston girls’ cross-country squad picked up a solid victory Saturday at the annual Leroy Maxie Invitational held at the Oscoda County Fairgrounds in Fairview. Shannon Kievit ran a tough race as the first Cardinal finisher, turning a time of 20:35 that was good for second. Division IV Regional meet Friday, Oct. 25, at Central Lake. Samantha Baganz was 13th (23:09) and Hannah Donajkowski 15th (23:16), keeping J-L’s 3-4 pack a tight one. Brianne Kennedy rounded out the scoring in 20th place (24:28). 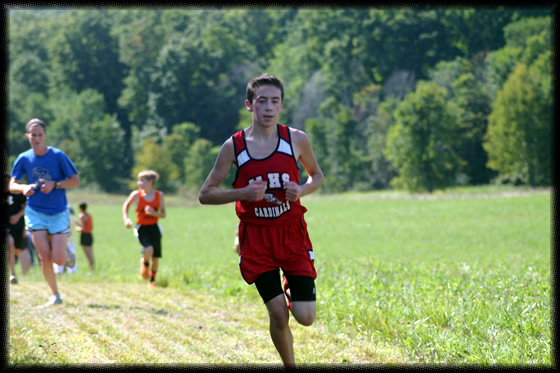 On the boys’ side, senior Cardinal Andrew Morehouse finished fifth with a strong time of 17:25. Dimitri Capers also competed for the boys, finishing 25th with a time of 22:03. CENTRAL LAKE — Johannesburg-Lewiston and St. Mary competed in the Ski Valley Conference meet Wednesday as all four teams saw fast times and all-conference performances in Central Lake. St. Mary eighth-grader Averi Bebble finished the third-fastest runner in the conference with a time of 21:32 in the girls’ race, just a second back from second place. Elizabeth Harbin also gathered all-conference honors, finishing 12th at 23:39 in her freshman campaign. Katie Rutkowski finished 22nd (25:24) with Gabby Schultz 28th (26:15) and Ashley Switalski 30th (27:02) for the Snowbirds. St. Mary finished third as a team with J-L taking second. For the Cardinals, Shannon Kievit (22:10) and Chloe Johnston (22:11) finished nearly side-by-side, in fifth and sixth place. Samantha Baganz finished 20th (24:51), Hannah Donajkowski 24th (25:28) and Brianne Kennedy 22nd (26:14) for J-L.
On the boys’ side, it was Andrew Morehouse of J-L taking fifth place (18:28) to gain individual all-conference honors with Dimitri Capers, also competing for the Cardinals, finishing 37th with a time of 25:09. St. Mary boys’ also had two all-conference finishers in Adam Makarewicz, who took ninth with a time of 19:10, and Levi Milan in 14th (20:08). The Snowbirds finished fourth in the standings. Noah Kole in 18th (20:39), Brendan Delaney 23rd (21:29) and Nathan Smith in 24th (21:53) also contributed points. when they return to the course in Central Lake. 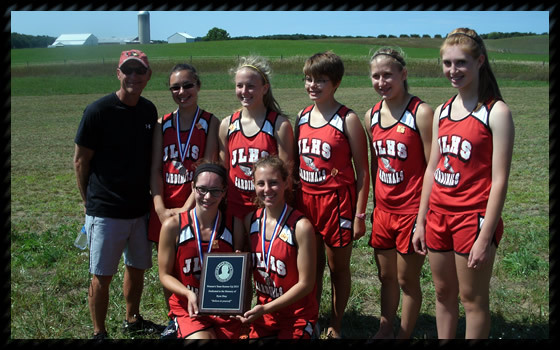 JOHANNESBURG — The Johannesburg-Lewiston cross-country squad will look to compete for more Regional and conference hardware this season with a boost from some experienced youth and some inexperienced but fast upperclassmen. For the girls’ squad, senior Chloe Johnston moves into the leadership position as the lone returner from last season’s top three. Johnston placed 15th in the Division 4 Regional meet, helping the Cardinals capture third. Although new to cross-country, Kievit is no stranger to lacing up the running shoes. The senior already has a decorated track career, mainly the sprinting events. Juniors Kelsey Hardy and Brianne Kennedy join the squad, also veterans of track. Also returning are sophomore varsity letter winners Samantha Baganz, Samantha Morehouse and Hannah Donajkowski. Savannah Walter and Heather House join them in a talented group of sophomores. The boys may be small in numbers, but not short on ability. Andrew Morehouse returns for his senior season, looking to repeat as a State qualifier. Dimitri Capers is a runner who, according to Kennedy, continues to improve as a junior and eighth-grader Nathan Idalski shows a bright future. 9-7 Charlevoix Mud Run 9:00 a.m.
9-10 Cheboygan Invite 5:00 p.m.
9-14 Ellsworth Invite 10:30 a.m.
9-28 Boyne Falls 10:00 a.m.
10-3 Mancelona Invite 4:00 p.m.
10-12 Fairview Invite 10:30 a.m. Regional Finals and State Finals to be announced! !